There was nothing zen-like about the weather that night. Intermittent rain flooded the roads leading to the Leela Palace Chennai and when we were finally seated inside Spectra, we could see flashes of lightning that lit up the beach. What drama! 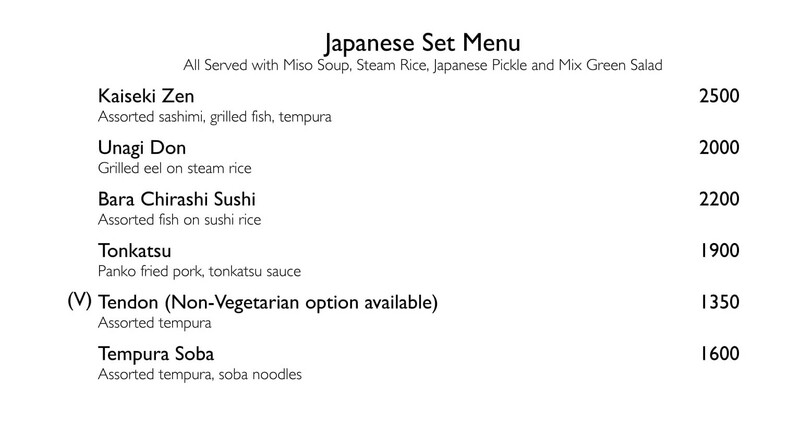 Slowly, the elements quietened down as if in a bid to provide us with the perfect setting of traditional Japanese meal. 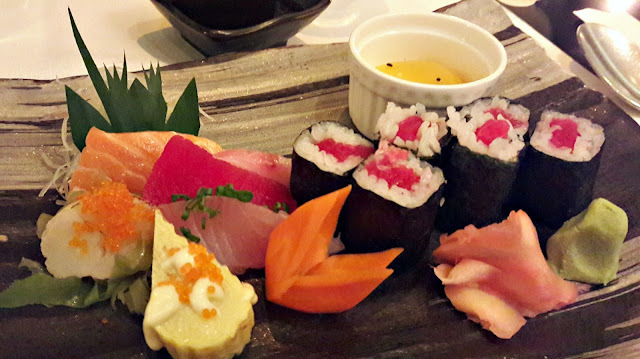 More than mere food, for a Japanese chef, Kaiseki Zen is an art form though which he can express his creativity. Prepared with much care and served in courses somewhat like a set meal, the colour, taste, texture and the arrangement of food is given utmost importance. 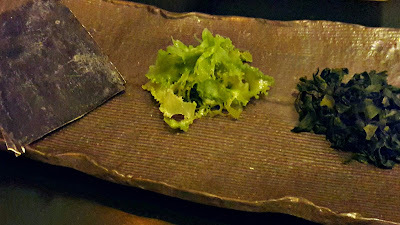 Each course has a different method of cooking and usually includes a pickled appetiser, sashimi, soup and a grilled dish (there could be more). At Spectra, the meal had been conceptualised by Executive Chef Dharmen Makawana and we had been invited to experience it at the Chef's Table. 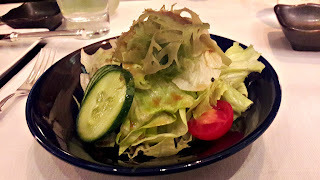 The meal started with a salad with two kinds of lettuce, thin slices of cucumber, halved cherry tomatoes and topped with kaiso, a kind of seaweed that had a gelatinous texture and a slightly fishy taste. The dressing was light and delicious - sweet, salty and a little vinegary and it doubled up as a palate cleanser. It is served on individual plates that are chosen with as much care as the preparation of the food itself because it showcases not just the chef's skill but also the respect he has shown the food. The tamagoyaki was skillfully made, topped with a little mayo and crunchy roe. Each slice of fish was so fresh and delightful - the salmon, striped with bands of fat just melted in the mouth. The hosomaki had fresh tuna as filling, delicious with pickled ginger and the dynamite wasabi paste. The colours, the textures - everything hummed with freshness and flavour. 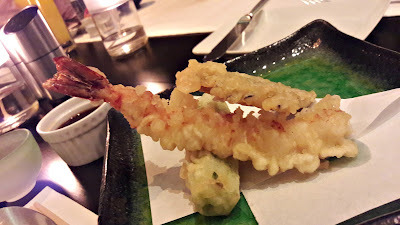 The next course was tempura - eggplant, prawn and ladies finger in a crunchy tempura coating. There was a soy-based dipping sauce to dunk them into. The last course was miso soup, steamed rice and grilled salmon. The soup had small cubes of silken tofu and wakame and I found the umami flavours delicious. 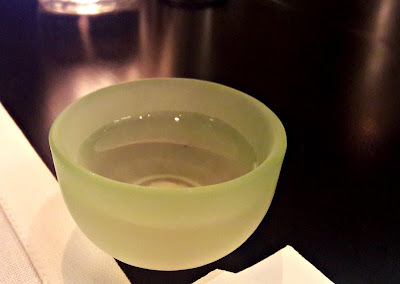 The dashi stock was not as strong and overwhelming as it is in some restaurants. Eat it with the sticky rice for the whole experience. 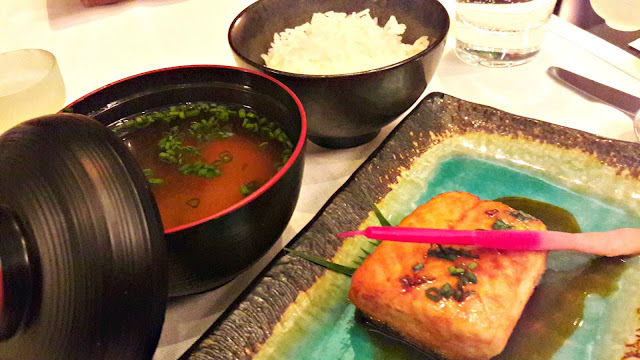 My favourite was the lightly grilled slice of salmon served skin-on with teriyaki sauce. Simple presentation, simple flavours and a gorgeous slice of fish to end the meal with. Kaiseki Zen will be presented at Spectra every day for lunch and dinner till 2nd July. Prices start from 1350/++ onward.